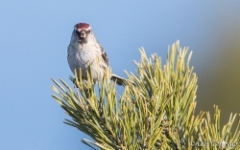 By clicking on the images you can enlargen them! 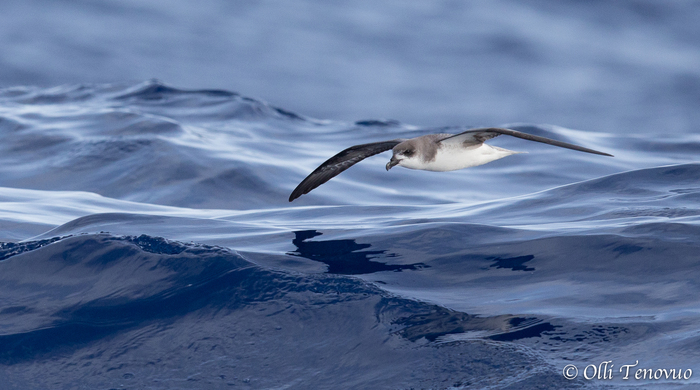 Together with my brother Jorma, Jukka Nurmi, Markus Varesvuo, and their spouses to Madeira aiming at productive seabird photography. 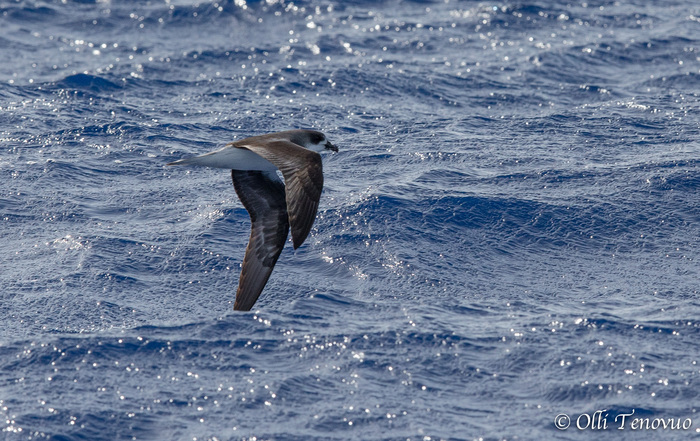 The trip was the three-day “Zino’s pelagic birding”, organized by Catarina and Hugo from Madeira Wind Birds (www.madeirawindbirds.com). 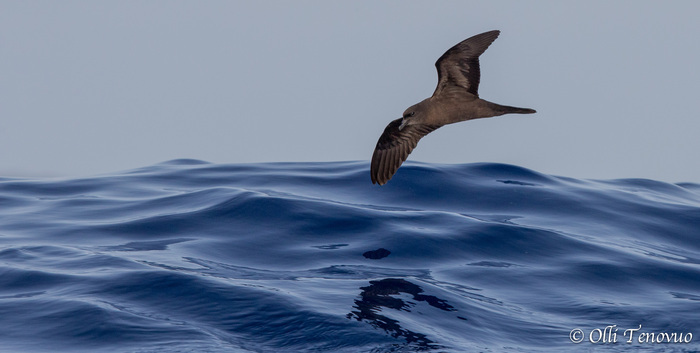 On each day we were at sea from 3 to 10 p.m., on the first day North, second day South, and third day East of Madeira (about 15 miles each day). 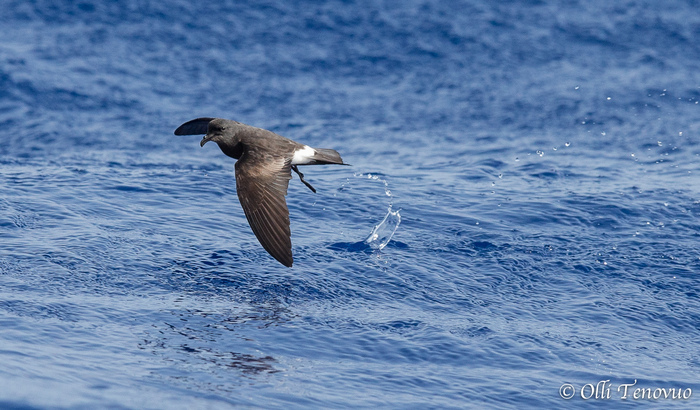 After reaching the target site, the “chum” was poured over board and repeatedly twice thereafter each day with an interval of about two hours. 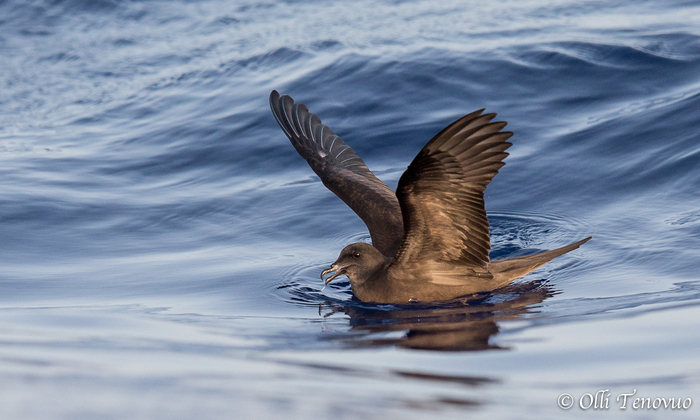 Then, we drifted with the chum about two miles each day, trying to keep beside it and having the sun behind. 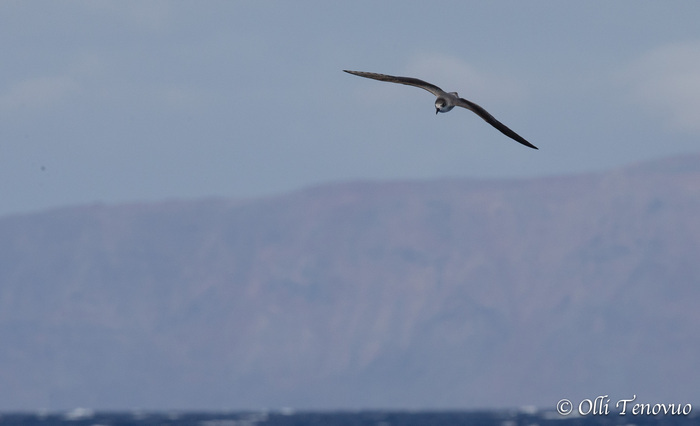 Two German birdwatchers, Felix and Christian, accompanied us - thanks for company! 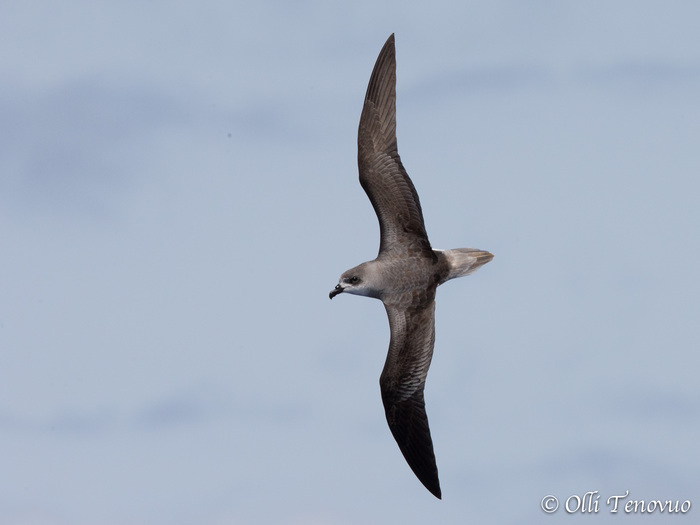 We had overcast all days but the two latter were partly quite cloudy. 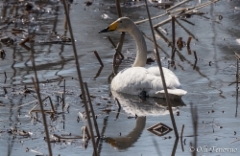 The temperature was nicely about 25oC. 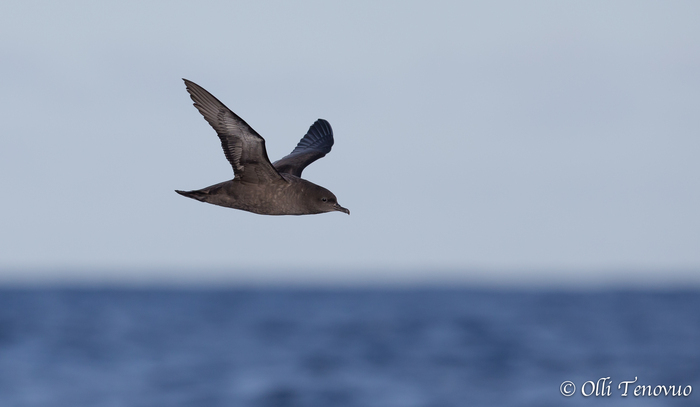 Wind is important for seabirds as we came to see, the first day had the fewest birds and the lightest wind (about 3 Bf or 5 m/s), on both the second and third day the wind was stronger, about 5 Bf (10 m/s) from North-East. 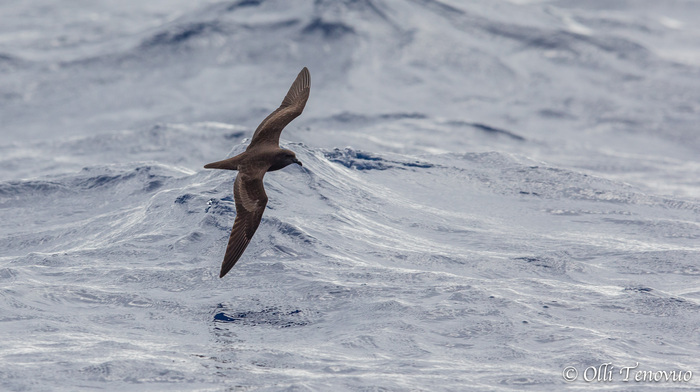 This produced more birds but also made us wet and put some challenge in photography since everything was moving: the photographers (in the swinging boat), the birds (and usually in a very quick and unpredictable fashion), and the background (the waves). 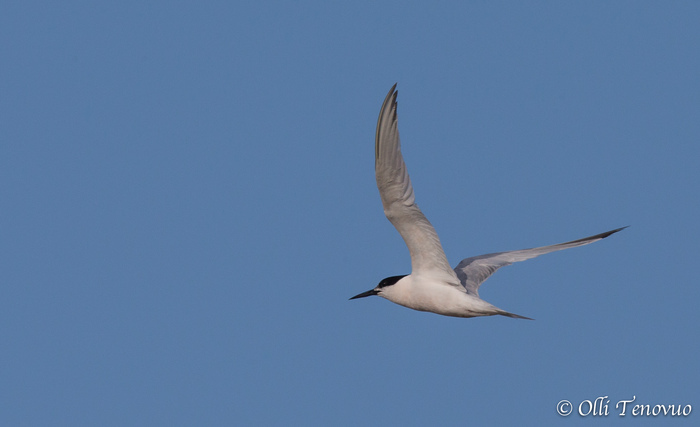 We saw (and photographed!) 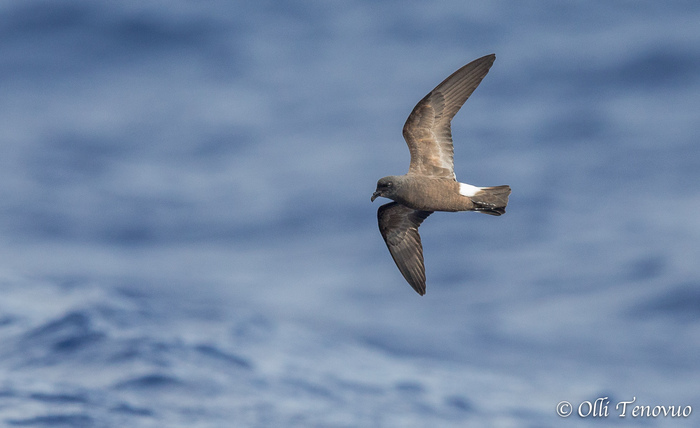 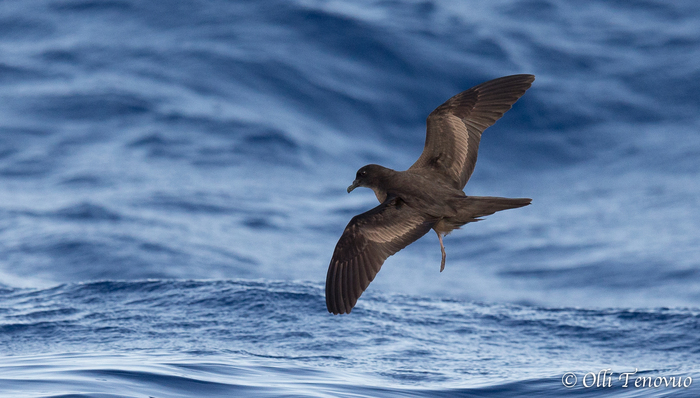 almost all species on our wishing list, despite the White-faced Storm Petrel. 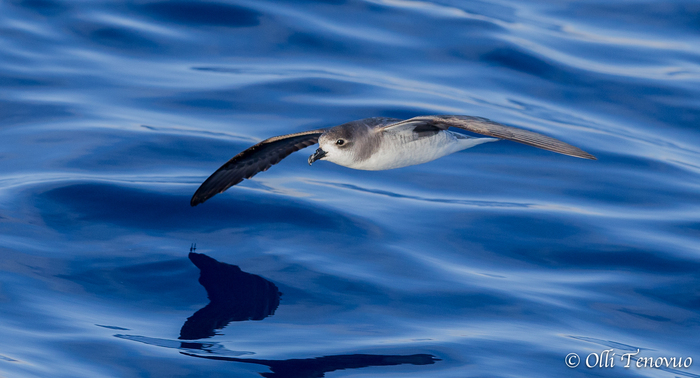 However, to compensate that we had some surprises that were not so expected. 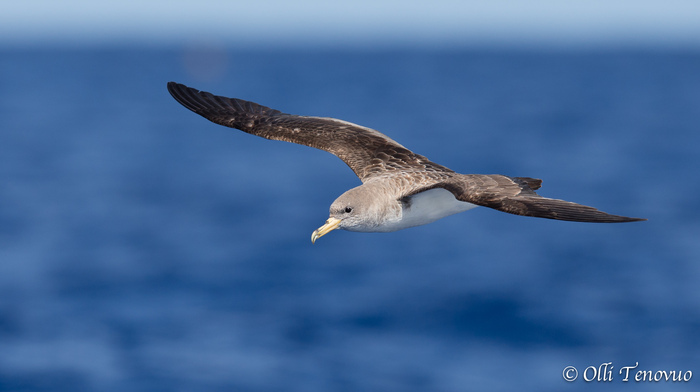 Below you can find a description of those seabirds we managed to see and a selection of photographs. 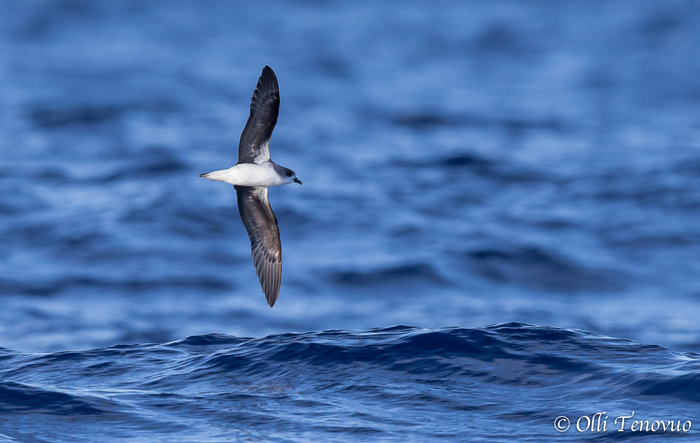 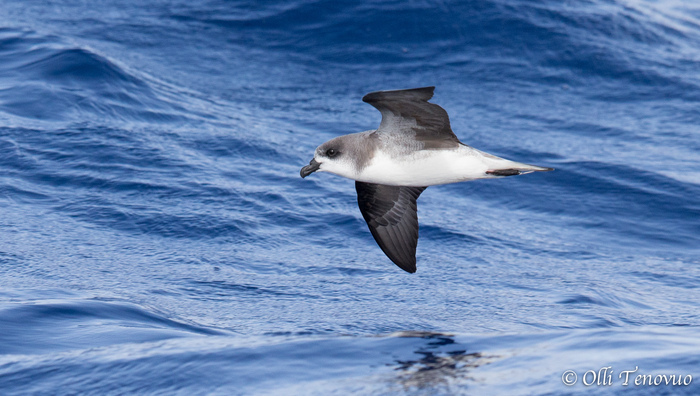 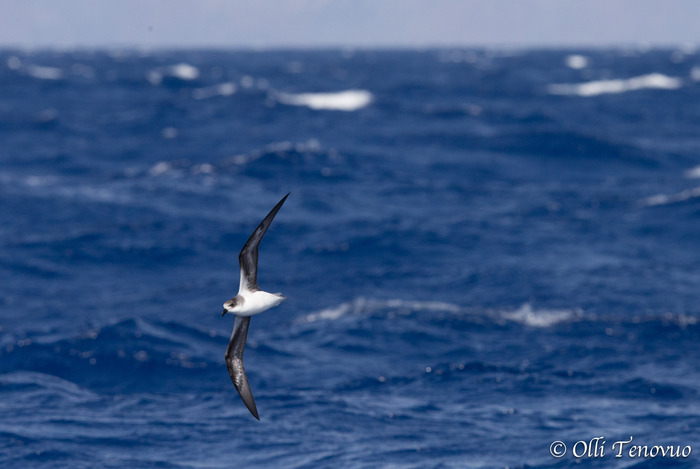 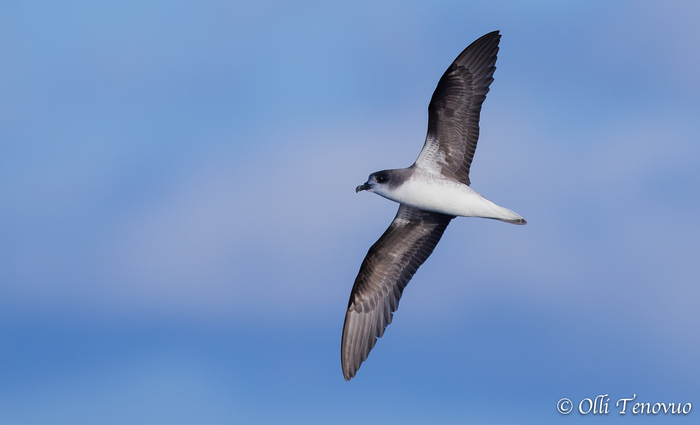 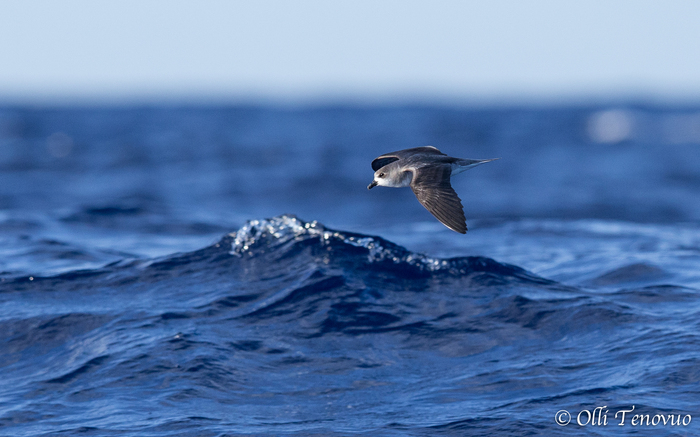 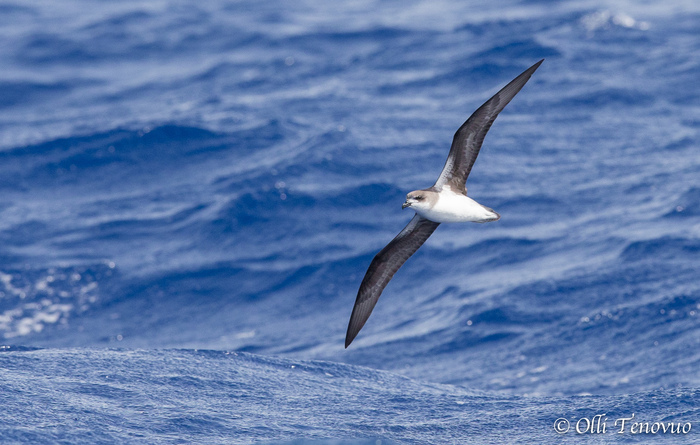 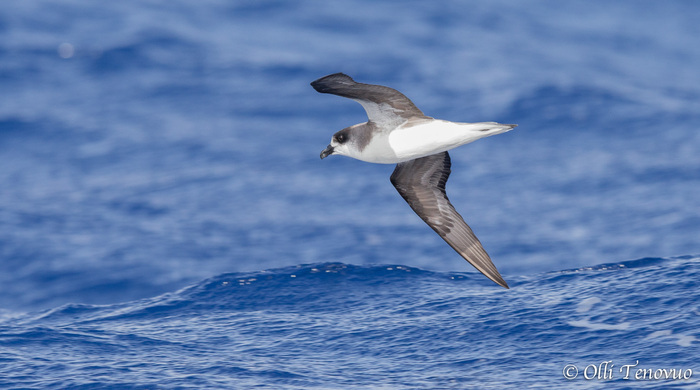 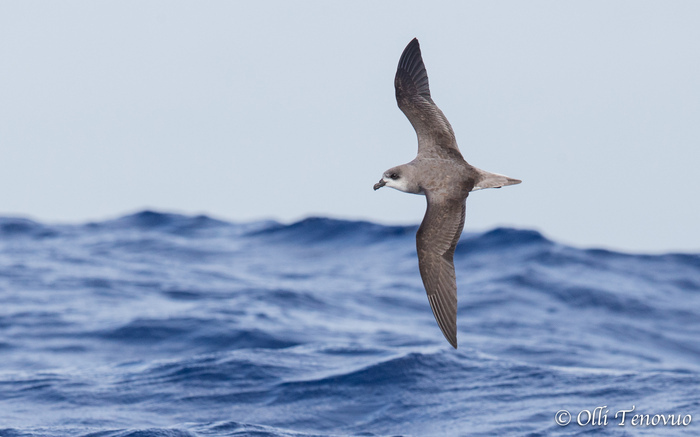 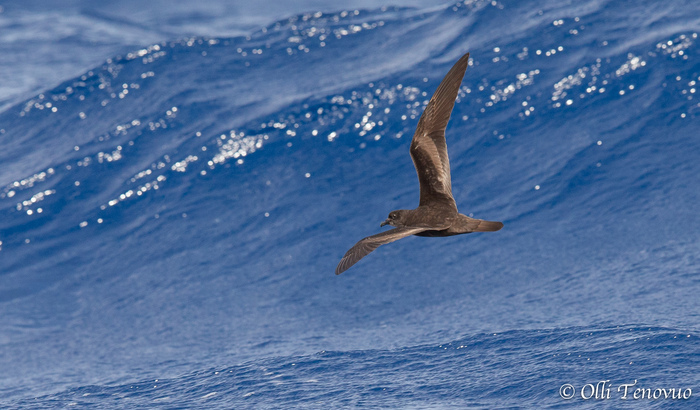 Bulwer’s Petrel (Bulweria bulweri) – by far the most common seabird, each day we saw far over one hundred individuals. 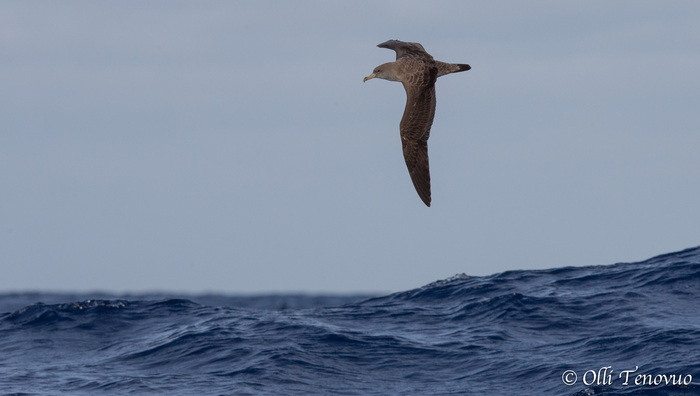 In practice the species was present at the chum all the time, by one or more individuals. 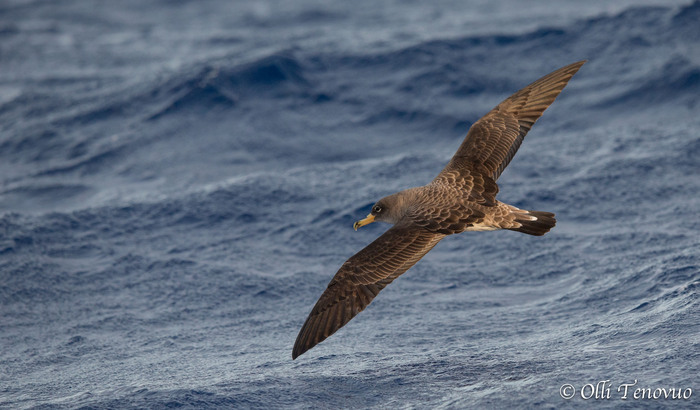 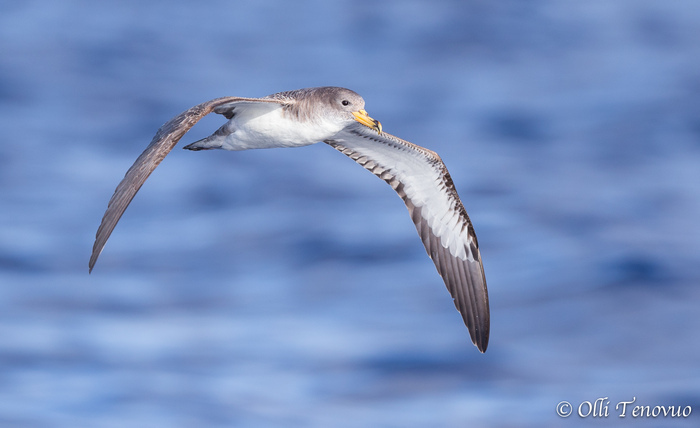 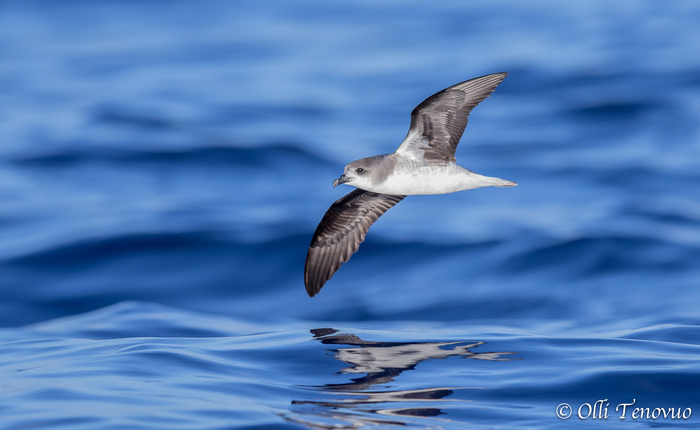 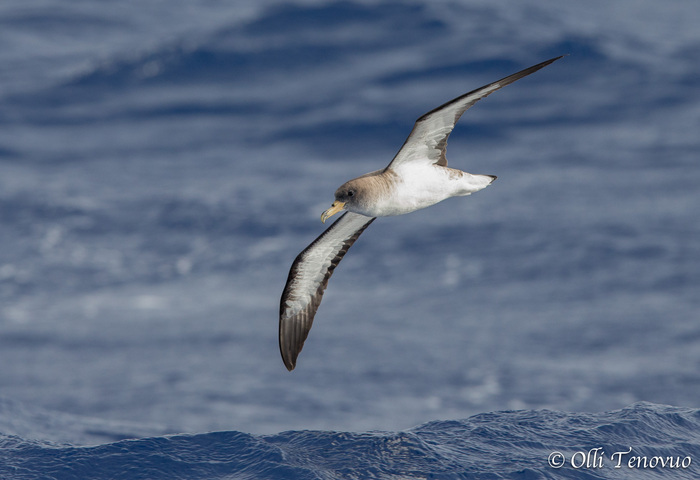 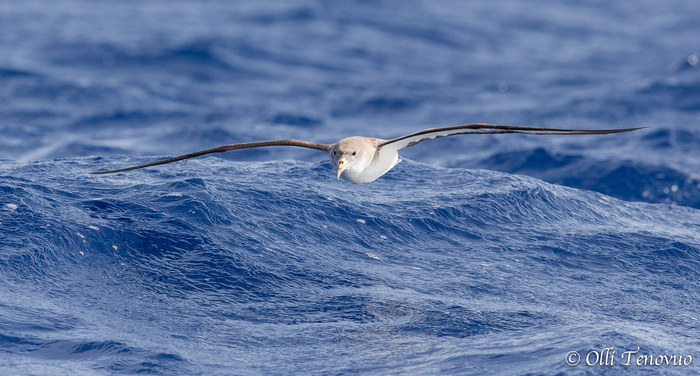 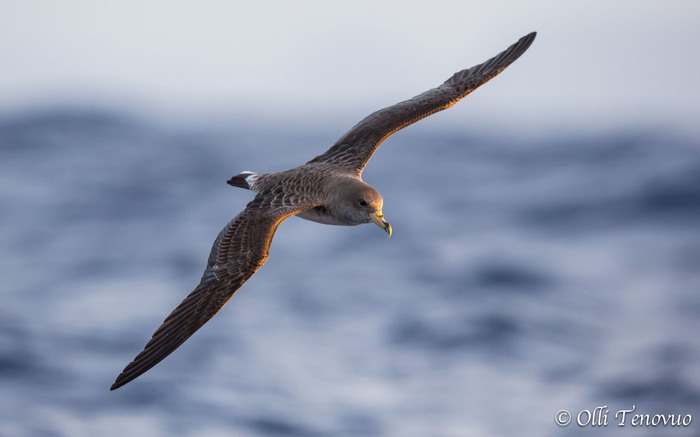 Cory’s Shearwater (Calonectris diomedea) – Cory’s was another numerous and visible species, which was actually more abundant than Bulwer’s Petrel on the open sea after the shoreline. 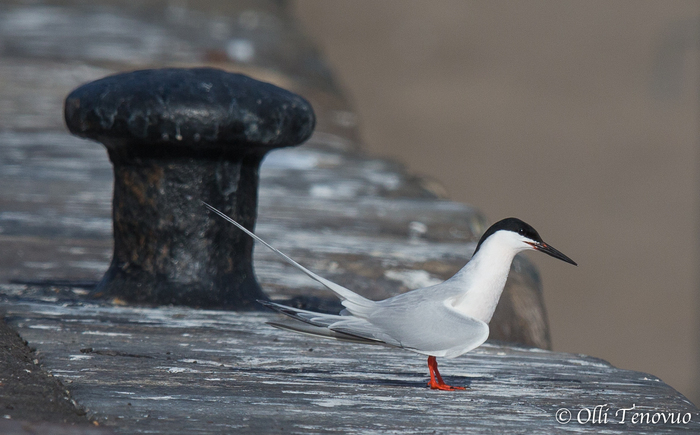 Not as interested in chum as Bulwer’s but still seen close to the boat quite often. 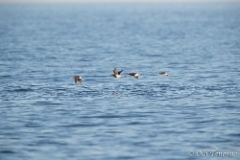 Altogether we saw hundreds of Cory’s. 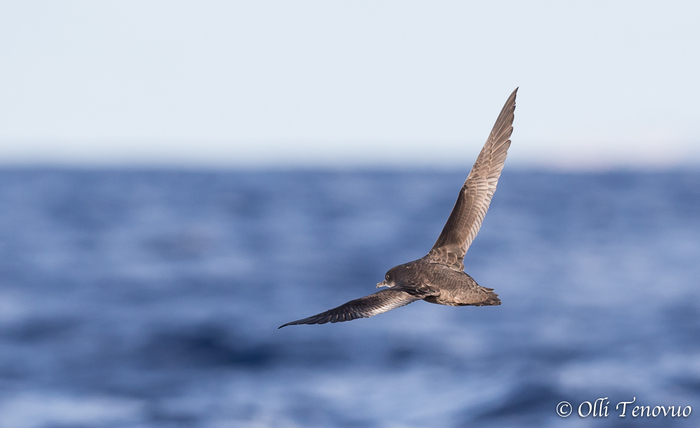 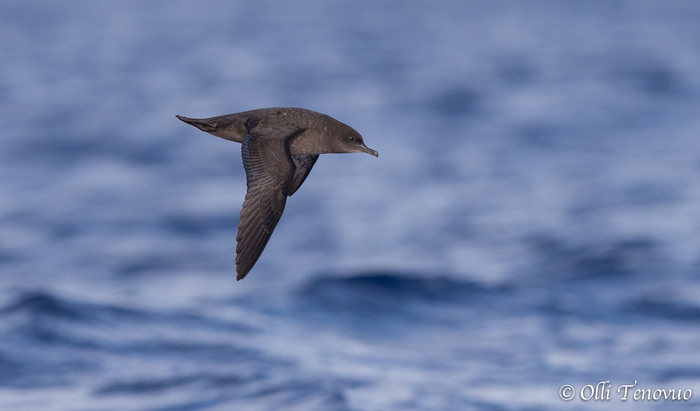 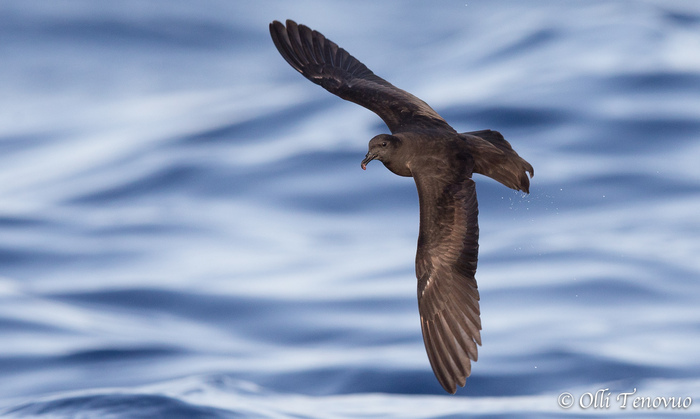 Sooty Shearwater (Puffinus griseus) – one of the surprises, on the first day one bird was circling around the boat for a while, letting everybody to take pictures. 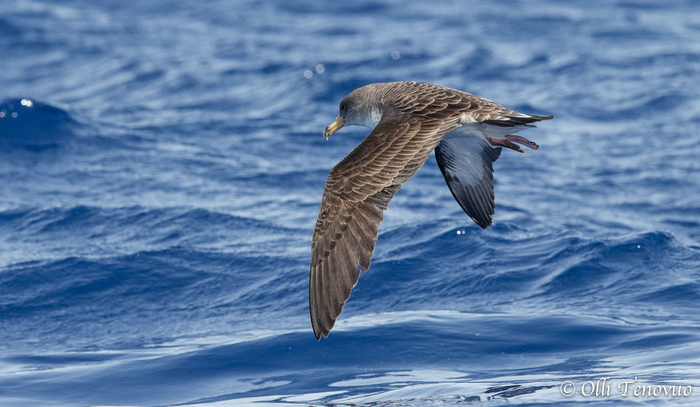 Manx’s Shearwater (Puffinus puffinus) – the only seabird we did not succeed to capture in photos. 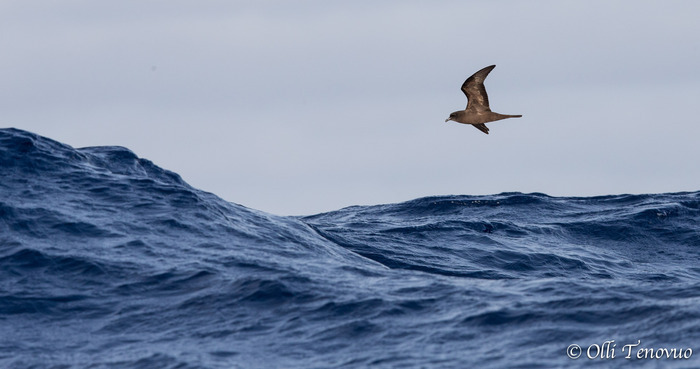 On the first day one individual came from the North passing by quickly to the South. 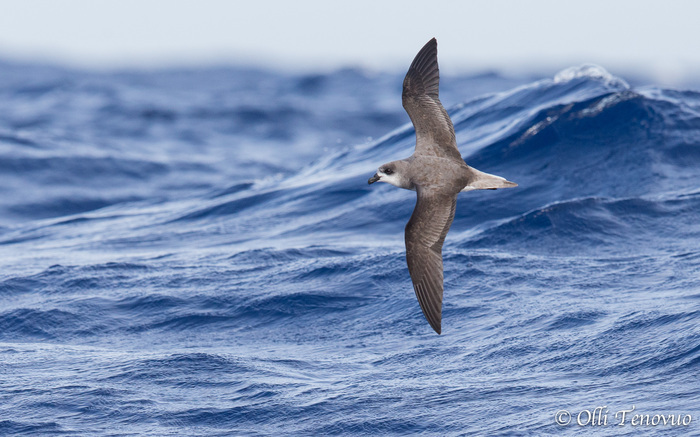 Fea’s Petrel (Pterodroma feae deserta) – the exact species of the Soft-plumaged Petrels seen is still under examination but apparently most were Fea’s, of the subspecies deserta. 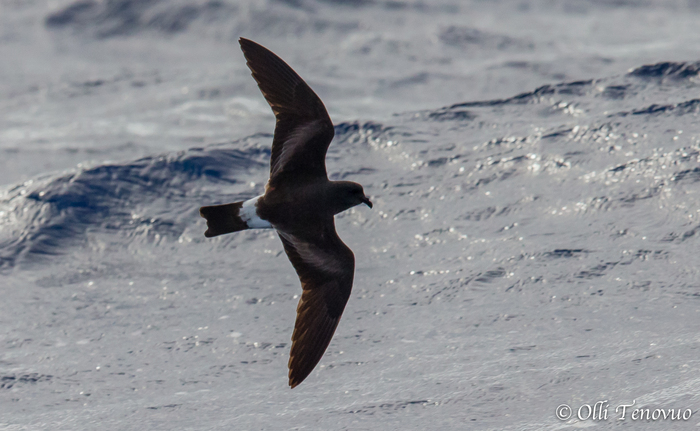 We saw altogether about 15 Soft-plumaged Petrels and got decent photos of most of them. 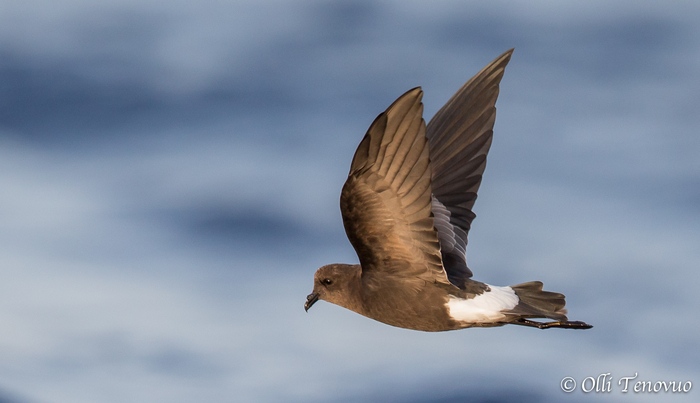 The birds below are probably all Fea's (Deserta's) Petrels. 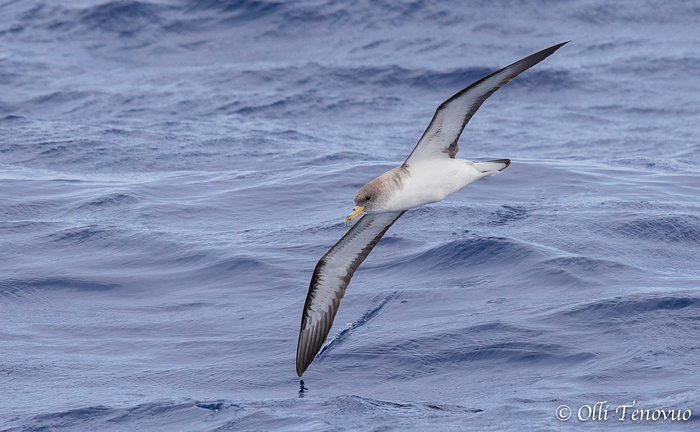 Zino’s Pterel (Pterodroma madeira) – on the first day we saw only one bird of this species group and this was definitely a Zino’s. 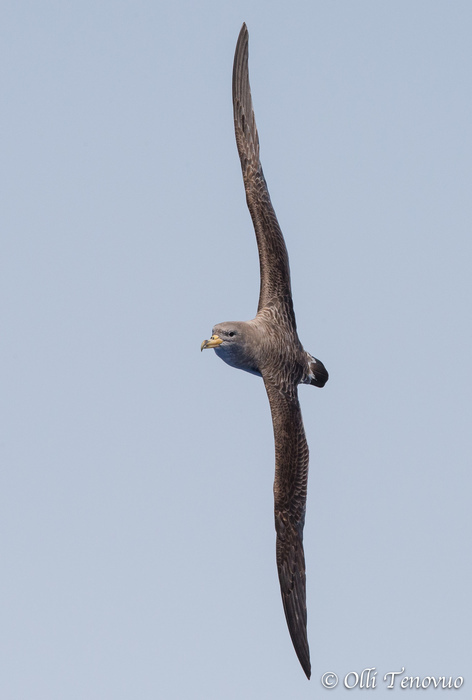 Whether we saw other Zino’s too is not yet clear. 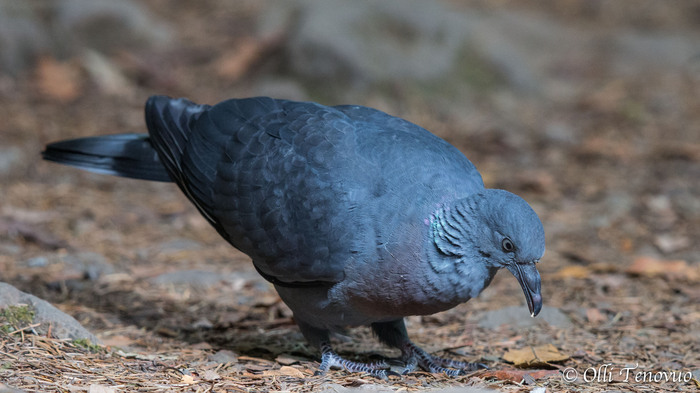 This species is critically endangered and the whole world population breeds on the mountainous parts of Madeira and is estimated to about 100 pairs. 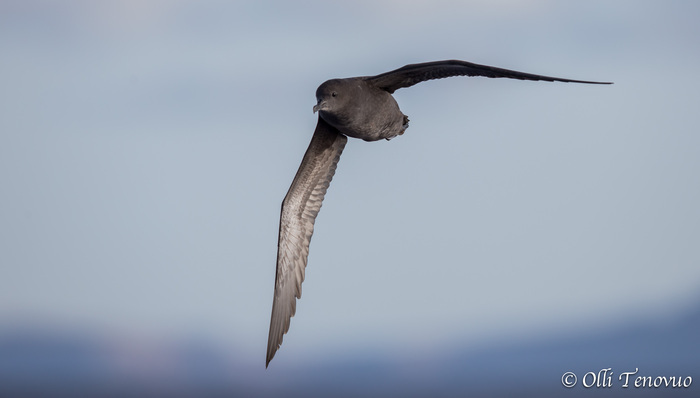 For those interested in Pterodroma identification, photos of the different individuals we managed to photograph can be found here. 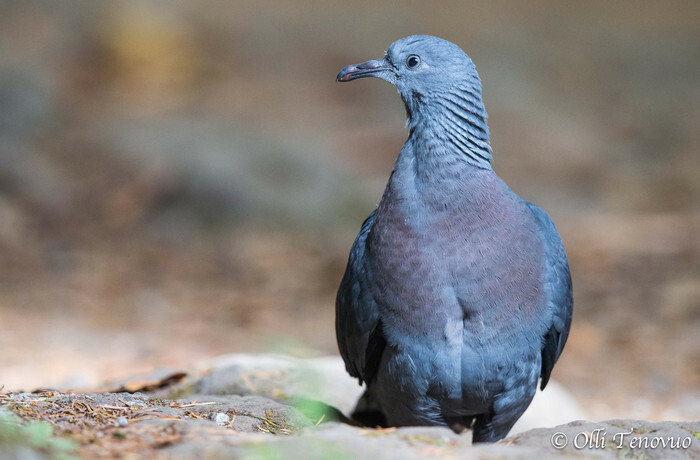 I will add species information after obtaining expert opinions on these individuals. 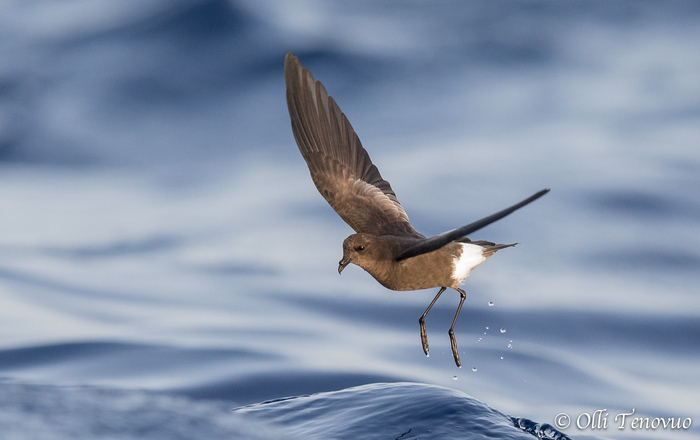 Madeiran Storm Petrel (Oceanodroma castro) – sparser than expected, on the second day we saw three and on the third two individuals, with some photographic success especially with one individual on the second day. 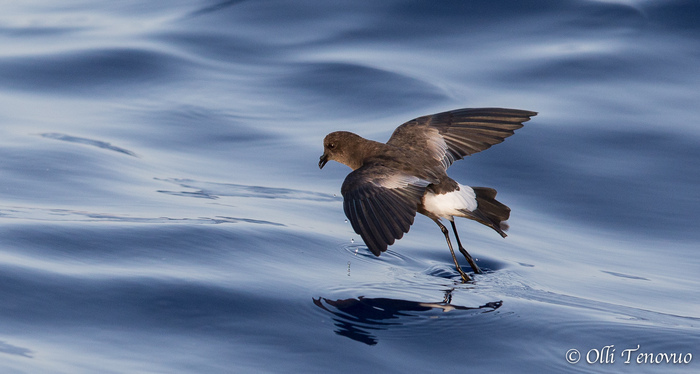 All Storm petrels appeared suddenly, without anyone seeing them to arrive. 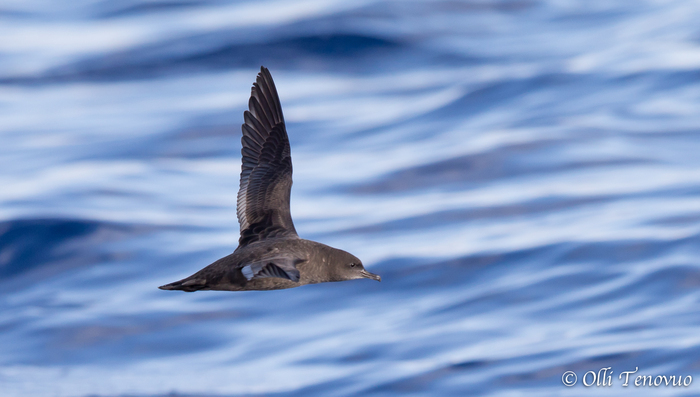 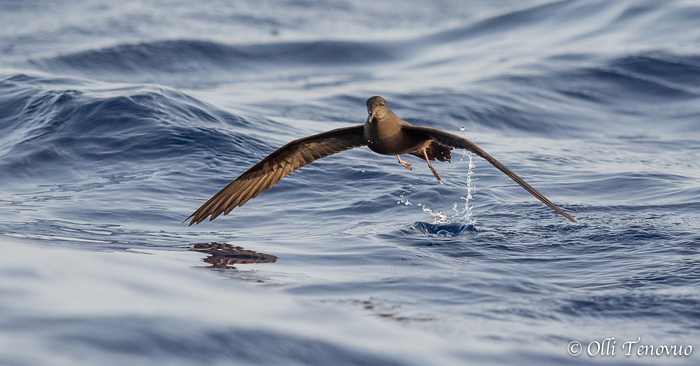 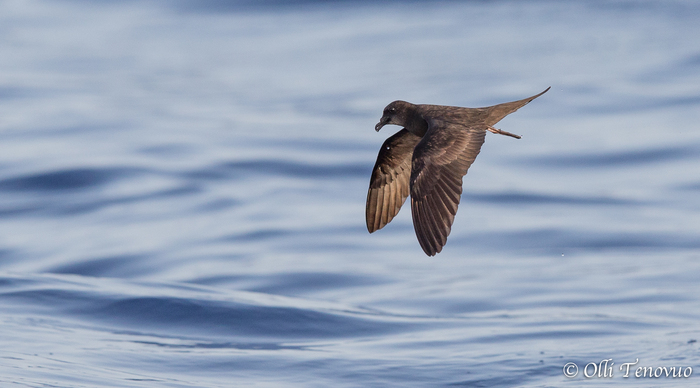 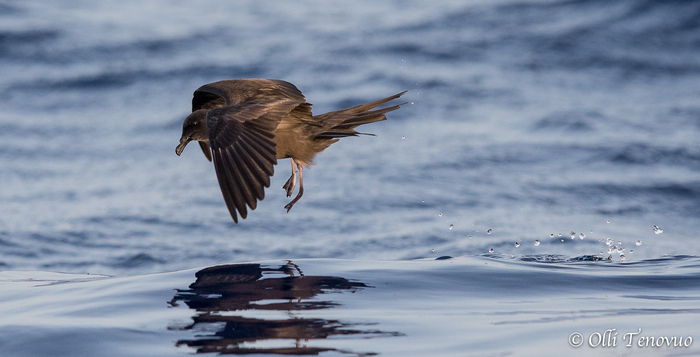 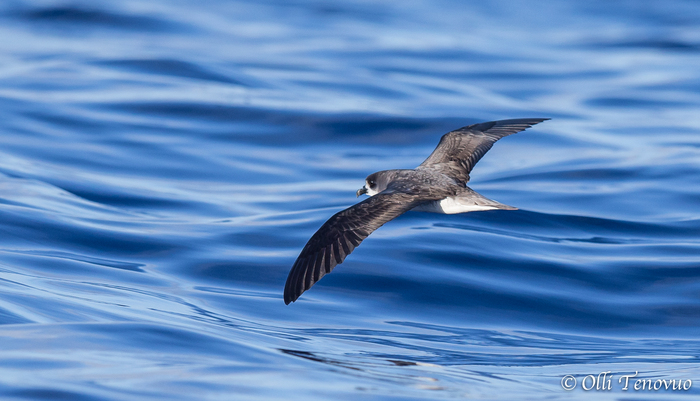 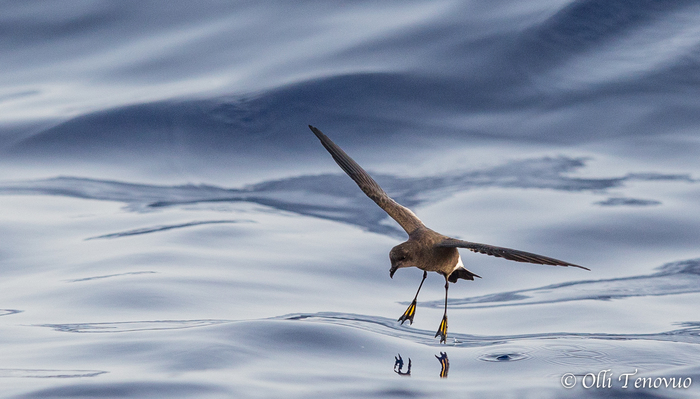 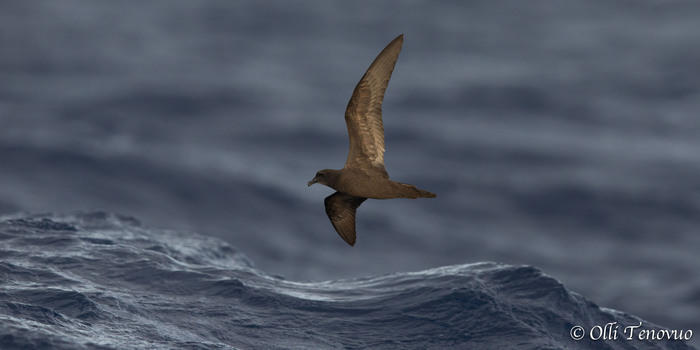 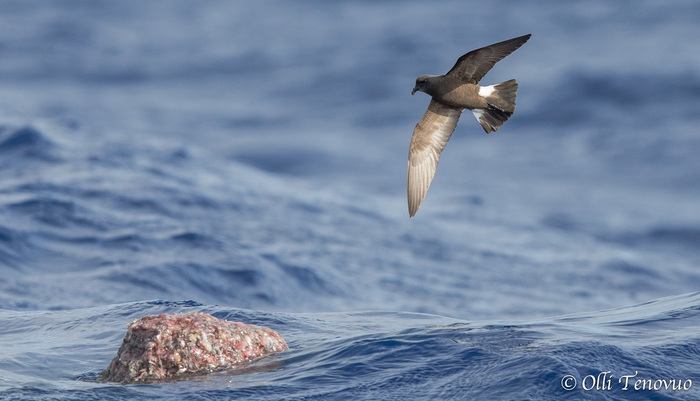 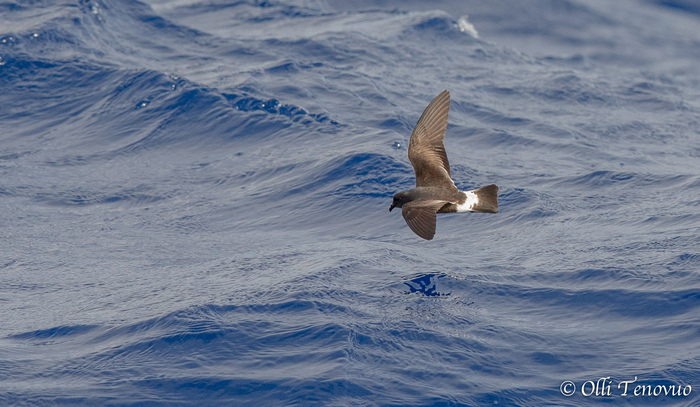 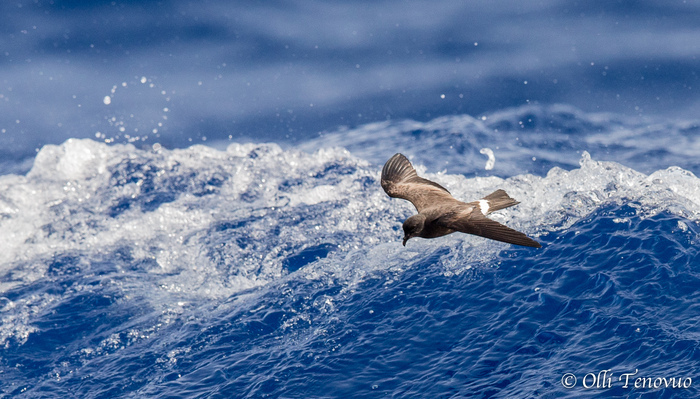 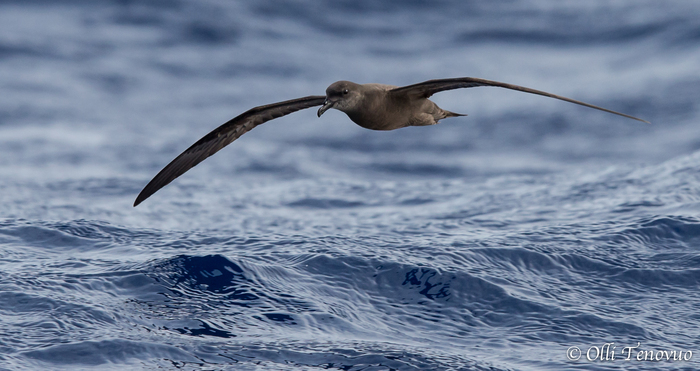 Here a Madeiran Storm Petrel in a typical flight position. 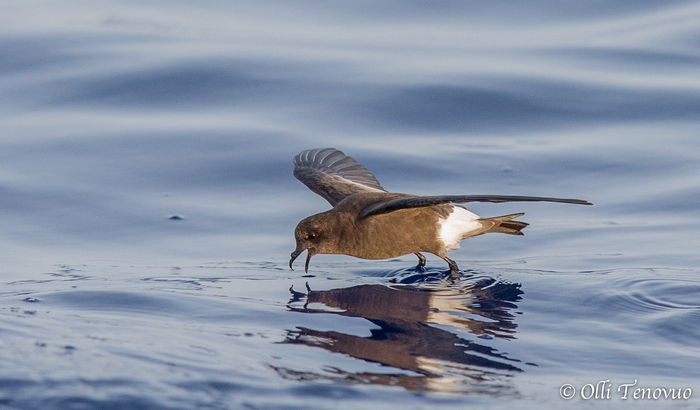 Wilson’s Storm Petrel (Oceanites oceanicus) – one of the most delighting surprises and compensated nicely the missing White-Faced. 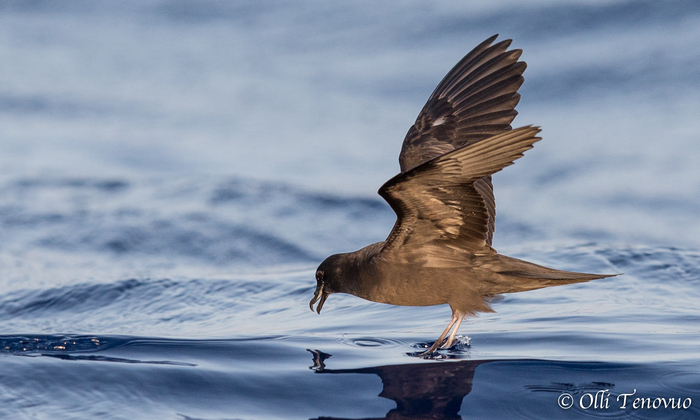 Appeared during the last evening at the chum and spent the rest of the evening there, dancing on the sea surface for us to admire. 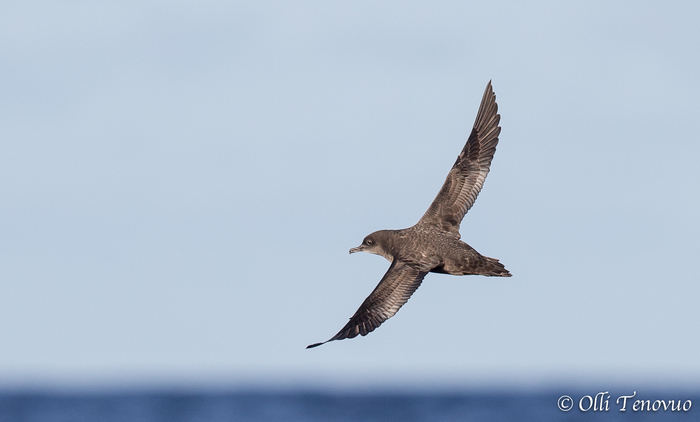 Pomarine Skua (Stercorarius pomarinus) – on the second day on individual migrated to the South, quite far away (nicely spotted by our German friends). 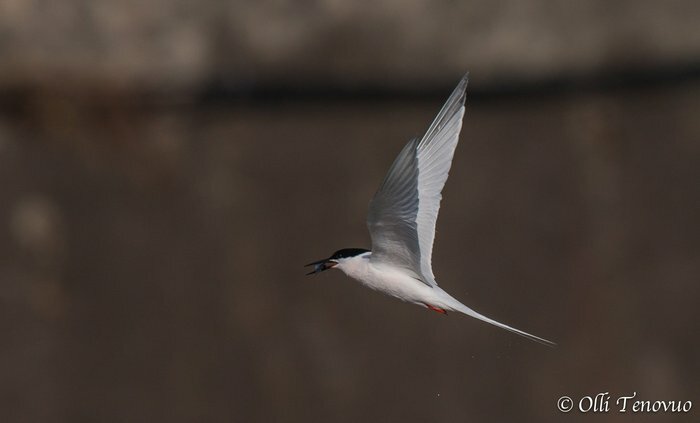 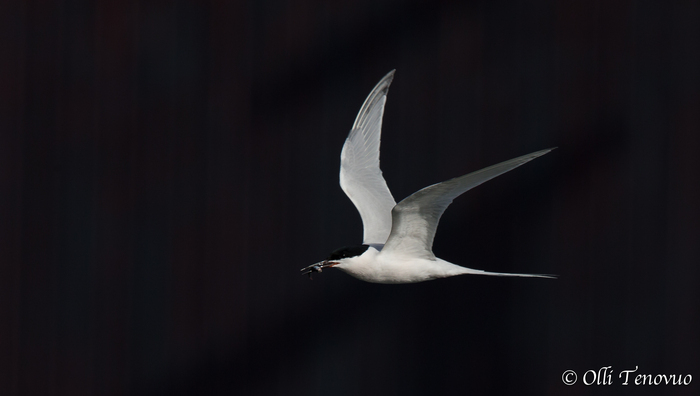 Roseate Tern (Sterna dougallii) – was regularly present at the Funchal harbour, especially during early mornings and late evenings. 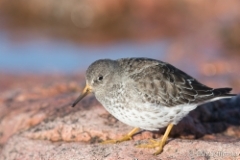 Is easiest to spot because of a faster wing-beat or from the sound resembling slightly a Spotted Redshank. 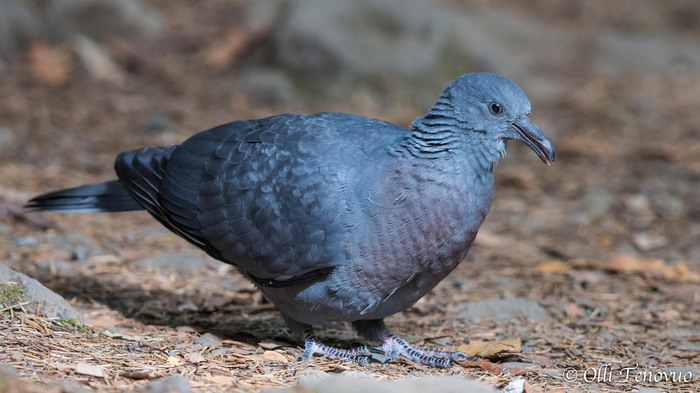 Madeiran Pigeon Columba trocaz – not very rare in the mountainous areas but difficult to find and especially to take photos, usually shy. 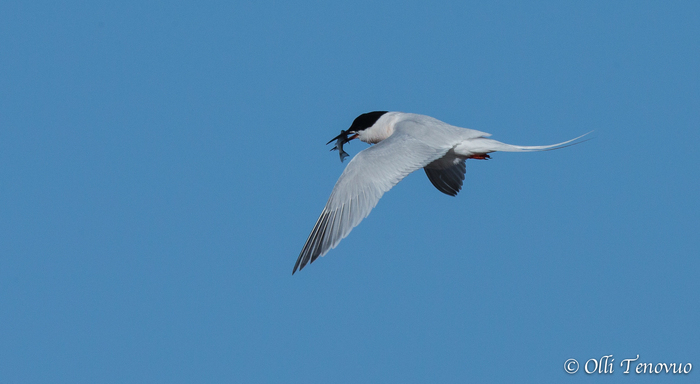 We had an unexpected luck as can be seen! 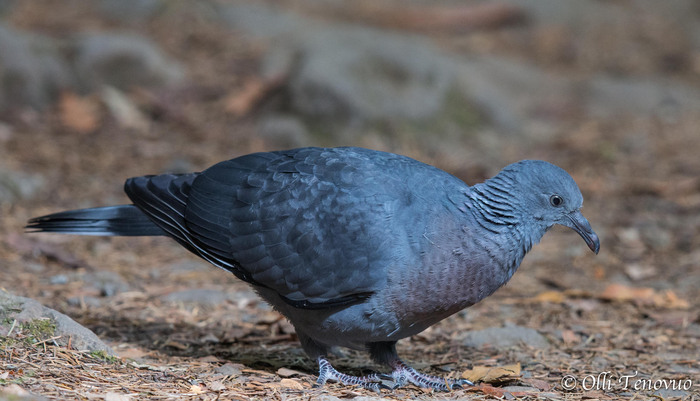 Incredible luck, a "wary" Madeiran Pigeon feeding on the levada in about 10 yards distance! 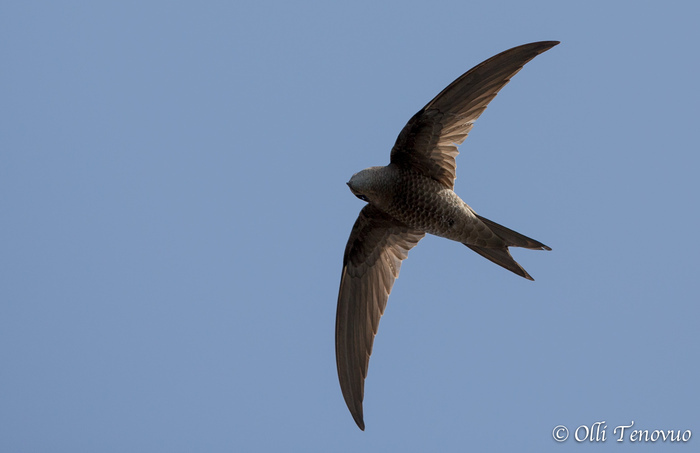 Madeiran Swift Apus unicolor – Swifts were common but it remained a bit unclear how many of them were Madeiran and how many Pallid Swifts, both were common.